ClearLLab Compensation Beads are to be used in conjunction with the ClearLLab Compensation Kit to establish compensation settings on the Navios and Navios EX Flow Cytometer(s) prior to multicolor analysis with the ClearLLab 10C Panels. 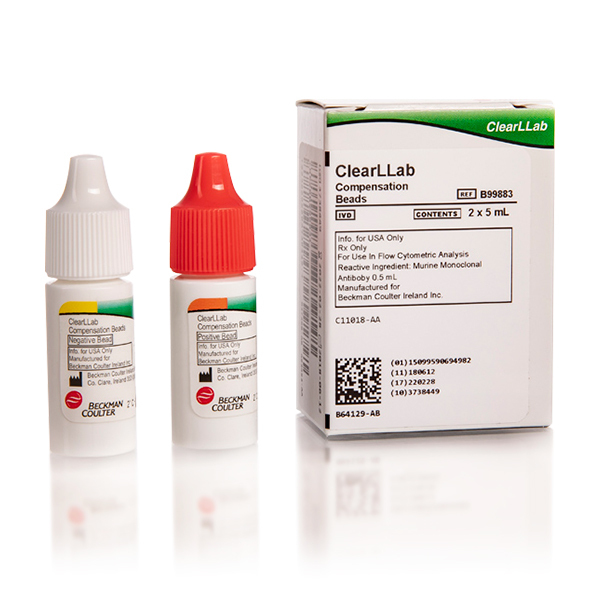 ClearLLab Compensation Beads contain two vials of 3.0-3.4 μm beads in suspension at a concentration of approximately 1 x 107 particles/mL. The Antibody Capture Negative Beads acts as a negative control and does not bind fluorochrome-conjugated antibodies. The Antibody Capture Positive Beads contains beads coated with an IgG-binding agent that will bind mouse isotypes.